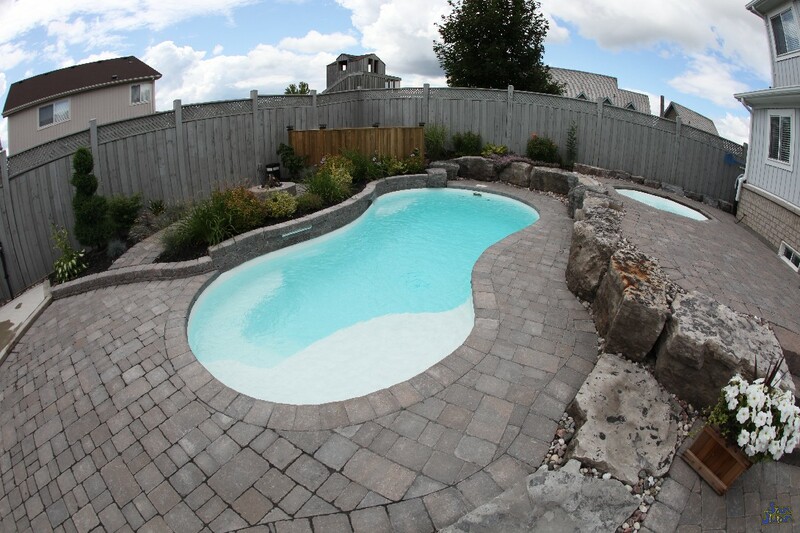 The Sundial is a classic figure-8 style swimming pool. Although it provides plenty of swim space, it’s compacted into a small body of water. 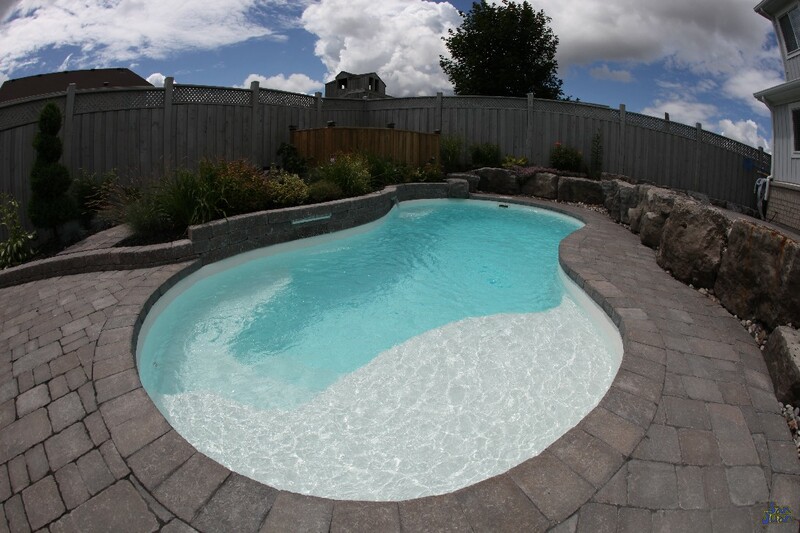 Holding only 6,400 gallons, the Sundial is a petite fiberglass pool shape perfect for small backyards! 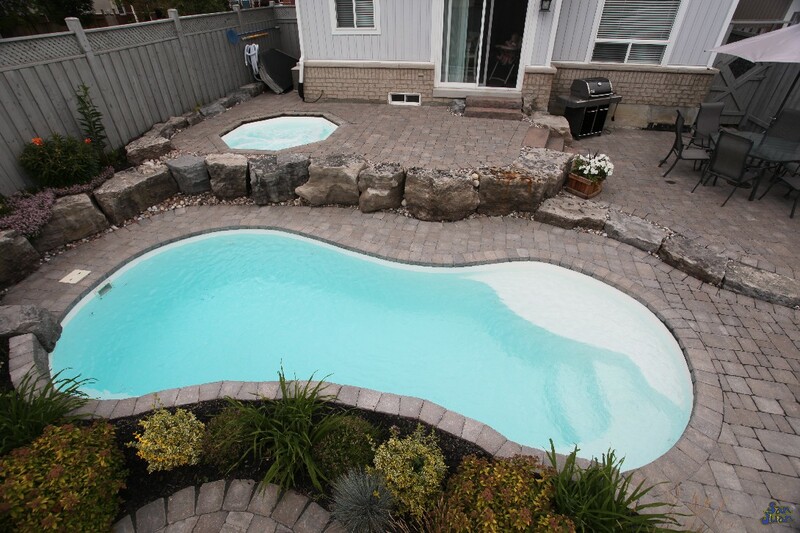 At San Juan Pools, we like to provide a wide range of options for our clients! 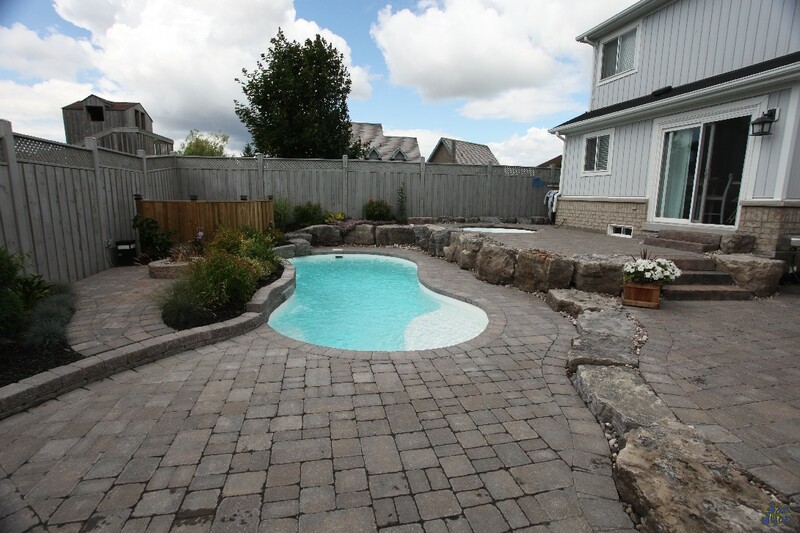 Our objective is to help you find the swimming pool that is perfect for your home and design style! 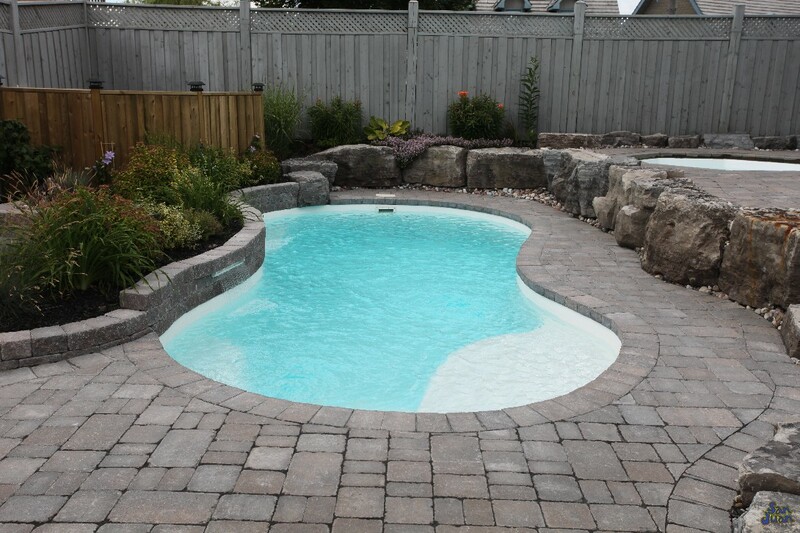 The Sundial pool is a figure-8 pool shape with a wide set of shallow end entry steps. We’ve complimented these shallow end steps with a wide top step. In our industry, we refer to this space as a tanning ledge. These spaces are perfect for catching some rays during the summer. You can also spruce up this shallow tanning ledge with a ledge lounger or other in-pool furniture piece. If you’re looking for a compact body of water that is both simple in design and easy to fit in most backyards, the Sundial is perfect for you! Touching further on the topic of small body of water, the Sundial provides a maximum of 6,400 gallons. In today’s age, there are various types of filtration equipment packages available to help optimize your monthly electrical consumption. In pool terms, 6,400 gallons requires a much lower turnover rate than a larger body of water would require. You can feel free to capture some energy savings by installing a variable speed pump with the Sundial. This allows you to filter your swimming pool at a lower RPM during the work day. This leads to significant energy savings which means money in your pocket! For parents who have concerns over deeper bodies of water, the Sundial is much safer for entry level swimmers. With a maximum depth of only 5′ 7″, you’ll be able to rest easier and allow your swimmers to polish their skills (with a watchful eye, of course). Secondly, this modest deep end makes raft floating both comfortable and easier. You’ll be able to hop on and off your raft at any point inside the Sundial. 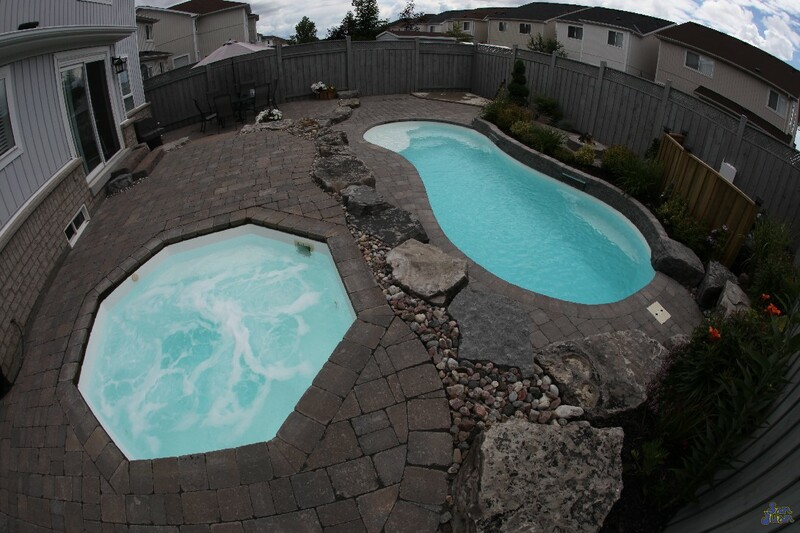 We recommend this swimming pool to those who want to enhance their backyard experience with a relaxing body of water to enjoy! In conclusion, the Sundial is a fun and playful fiberglass swimming pool. It’s compact design is perfect for petite backyards and fits in nearly any space. Secondly, it’s small body of water makes water filtration a breeze that can put money back in your pocket. If you’re looking for a relaxing, modern & styling swimming pool, the Sundial could be your perfect match!